A dial phone-inspired pill box has won this year’s Designing for the Future Competition at The College of Richard Collyer. Designing for the Future,encourages student designers to think about the challenges affecting our ageing population – and to create innovative and attractive designs which allow older people to continue to live meaningful, enjoyable, active and independent lives. 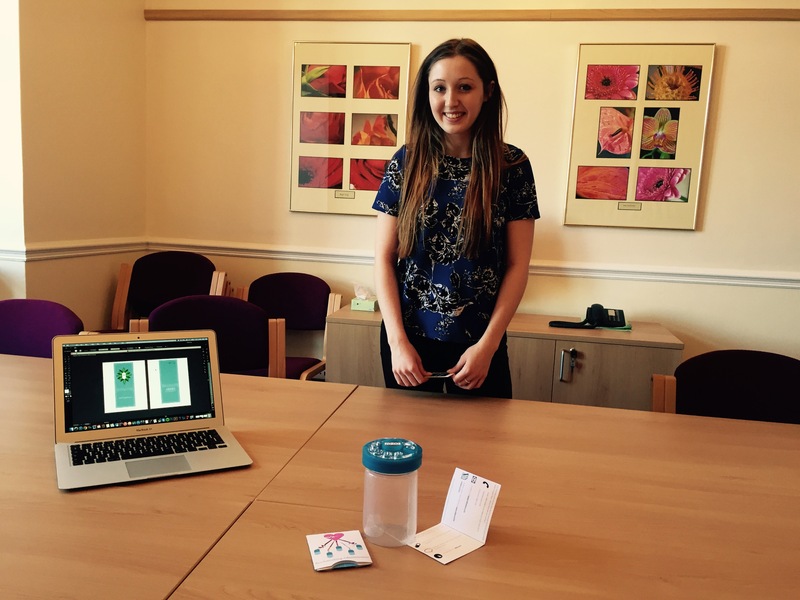 This year’s winner, Harriet Roberts, designed the “Akeso Pill Box”. Akeso (the Greek Goddess of Healing) features a dial phone-inspired pill holder and water bottle and is made from lightweight and sustainable materials. Harriet took inspiration from Sabi, an award-winning US company which designs beautiful, easy to use every day products. We put Harriet in contact with Sabi’s Director of Products for some useful feedback and Sabi even shared some of their original pill box design sketches. Second prize went to Maria Collins who came up with her winning design whilst sitting on an uncomfortable bench. She realised that other people, including older people, must also find benches uncomfortable and researched her idea for a more comfortable, ergonomic design. Speaking to people of a range of ages, she discovered the importance of back support and arm rests for public seating areas. Maria’s “Elderbench” design also features a seat which can be rotated to ensure that one side is always dry. The third prize winner, Georgia Tagg designed the “Tagg-a-Long” chair, a sturdy but lightweight portable chair which can be taken to sporting events and other outdoor activities. The winners receive cash prizes and all the entrants will be invited to join the Designing for the Future network which supports and promotes alumni from the project. “We have been running this competition for a few years now and each year the entries get better and better. It is such a great opportunity for our students to work with a ‘real world’ brief as part of their GCE ‘A’ level coursework. Philippa and her team come in at key points during the course to offer invaluable feedback on each stage of the design process. This year the students were able to fully utilise our 3D printing equipment to help develop, test and prototype their ideas. All three winning entries formed part of the students’ portfolios for university applications and all three have been offered places on design, and product design, degree courses”. Judges this year included Philippa Aldrich and Molly Aldrich-Wincer from The Future Perfect Company and last year’s University of Brighton Designing for the Future winner Martyna Konopka.